The recent large scale joint US–Australian military exercise, initially around Darwin and later in and off the North Queensland coast, has been celebrated by the military hierarchy in both countries. But is Exercise Talisman Sabre really useful to Australian strategic planning? The undoubtedly valuable experience of realistic war gaming (including in cyber warfare) camouflaged a fundamental question — where and against whom could such a military operation realistically be contemplated by Australia? Not to mention the huge cost of the exercise. A quick glance to the north, west and east of Australia fails to answer this question. This illustrates just how confused much of Australia’s strategic thinking has become. The relentless intervention into Australia’s domestic foreign policy debate by a chain of top US military officers — from Admiral Harry Harris (several times) to Marine Lieutenant General David Berger — has stirred the pot seemingly without any corrective response from either of Australia’s main political parties. A common theme involves pressuring Australia to join the United States in freedom of navigation operations (FONOPs) around Chinese installations in the South China Sea. Many Australian strategists have echoed this suggestion. Lieutenant General Berger went a step further by urging Australia to commit forces to a joint expeditionary force with the United States to combat violent Islamic extremist groups in Southeast Asia. 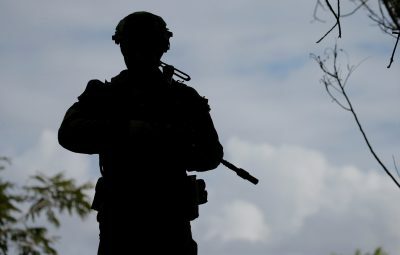 But Australia must recognise that that US military intervention has not been successful in counterinsurgency operations at least since the failed Vietnam War — not in Afghanistan, Iraq, Syria or Southeast Asia. As for the South China Sea, the ruling by the UN’s Annex VII Tribunal in July 2016 was never meant to resolve the navigation issue or the lawfulness of China’s island building. The real significance of the tribunal’s decision was to clarify resource rights . And there have been a few (albeit limited) developments on both fishing and oil and gas exploration where China, so far, has kept its actions if not its words broadly within the letter of the ruling. The other foreseeable conflict in the region into which Australia might get drawn would be on the Korean peninsula. So which of the ‘war on terrorism’, Chinese activities in the South China Sea or a potential North Korea crisis should be the priority for Australian strategic planning (and joint exercising) given the modest military resources at its disposal? To a significant degree, the three issues are not complementary and indeed could be contradictory. For example, China — with its own serious domestic counter-terrorism issues — could prove to be a valuable partner in the fight against violent extremism in Southeast Asia. And China has already proved to be a, if not the, key player in resolving the North Korean problem. So where does Talisman Sabre fit into this? The likelihood of any need for such a complex offensive operation of that scale anywhere in Southeast Asia or the South Pacific is so slim as to be realistically non-existent. One cannot seriously imagine a situation in which any ASEAN government would invite such a joint US–Australian force to land on its shores or welcome an uninvited incursion. Nor would Talisman Sabre be necessary or appropriate should military action against China in the South China Sea ever be contemplated. The relevance of any joint military action against the Chinese mainland does not merit thought. The most striking evidence for doubt about the utility of the Talisman Sabre and Joint Expeditionary Force strategy emerged in the past few weeks with the Southeast Asian security conference in Manado and the ASEAN Foreign Ministers meeting in Manila. Both considered the growing jihadist threat in the region and Chinese activity in the South China Sea. But neither evinced any appetite for the growth of US or foreign military activity in the region despite US lobbying. Australian participation (in a non defence garb) in both was welcomed. The most constructive assistance Australia could provide in the South China Sea would be to assist Southeast Asian nations in the protection of their resources rights rather than undertaking FONOPs in a show of gunboat diplomacy. A military confrontation with North Korea certainly cannot be ruled out completely even though most observers continue to see it as unimaginable — if only because it needs to remain an option for the strategic game of poker being played there. But even if the military option were ever activated the situation would be vastly different in scale, weaponry and process to Exercise Talisman Sabre. Perhaps the most concerning aspect is the way this exercise has muddied the strategic waters for Australia. Extending the ‘war on terrorism’ to Southeast Asia creates a slippery slope where US military planners might lead Australia towards joint or combined military operations in a region where Australian and US national interests may differ. Of course, Australia has to work with the administration as it is currently. But as the continuing dramas inside the White House confirm, there really is only one person that counts in the present US administration — a determinedly unpredictable president. Australia must not allow its forces and strategic policy directions in this vital area be held hostage to that. And it would be helpful if Australian policymakers on both sides of the political divide stood up for Australia’s interests, even where they conflict with those of the United States. Mack Williams is a former Australian Ambassador to the Philippines and to South Korea. A version of this article was originally published at John Menadue — Pearls and Irritations.